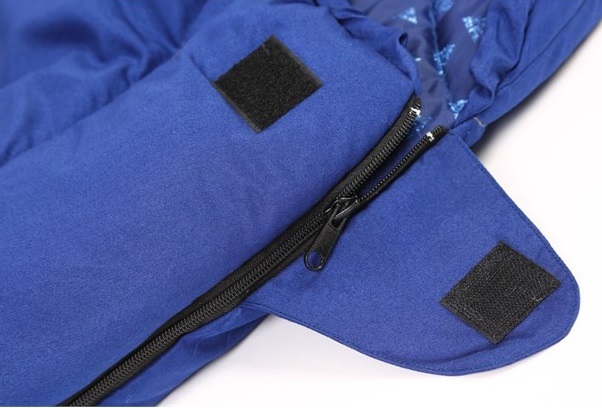 Sleeping bags; normally something we would enthuse greatly about in the run-up to the summer camping season. However, this time we're bigging up a bag (tee hee) as we enter the chillier months, as this is one you'll want around the house, as well as in your tent. We check out the SilentNight Sleeping Pod. Yep, this is a sleeping 'pod', not a bag. It might not sound like much, but that makes all the difference. Because instead of being either a conventional rectangular shape, or that weird 'Mummy' shape with the tapered leg section, the SilentNight Sleeping Pod is round. Like a chubby egg. When rolled out and ready for an occupant the thing is 215cm in length, and 107cm wide - about twice the width of a normal one-person sleeping bag. Due to those round-ish dimensions, you get hella leg room in there, and you can actually squirm and twist around as you would be able to under a normal duvet. So its like sleeping in bed, but in a sleeping bag. 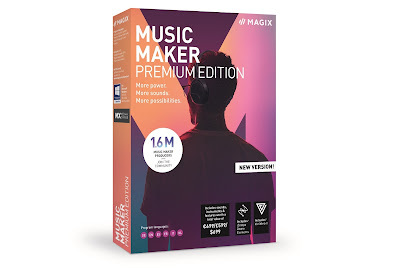 So why are we banging on about this now, other than, y'know, it having just been released. 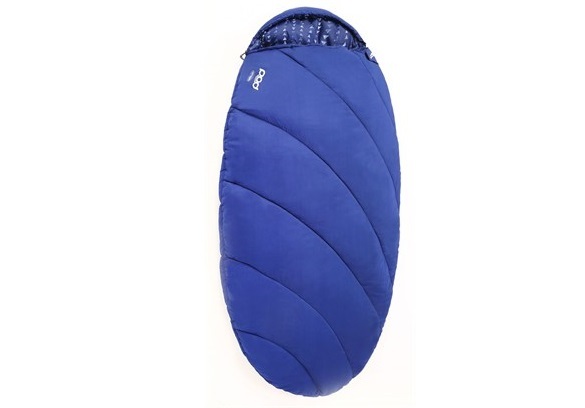 Well we were keen to get one in to Test Pit Towers for the winter because it makes the best kind of guest sleeping bag; one to use for when you have friends or family staying over and they're kipping in the living room. 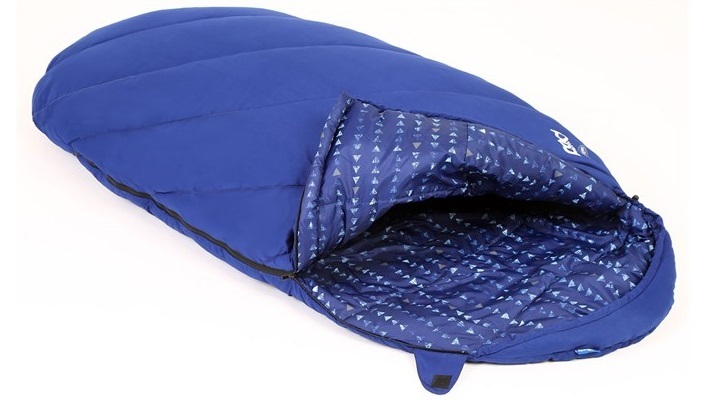 Give them one of these to sleep in while on the airbed, and they'll be toasty and have plenty of room. 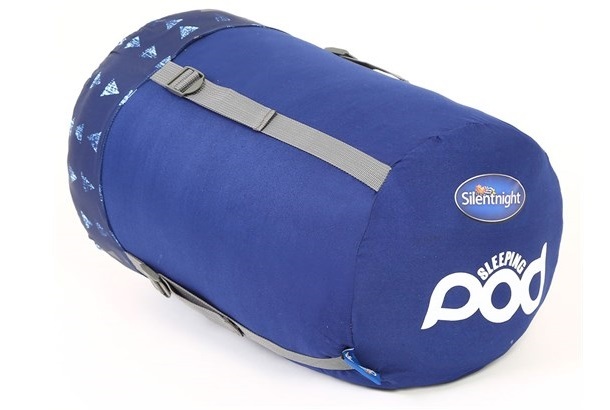 SilentNight say it is a three-season sleeping bag, meaning you'll be fine outside in it most of the year, with the exception of winter. While this is in no way a cold weather sleeping bag, it also isn't massively thick and insulating, and we'd recommend it only for summer use. That means, if you're getting one right now in the autumn, you can only really use it for indoor use for the next few months, other than for snuggling up on the patio on Bonfire Night. On that note, because of the bigger size you can fit someone else in there with you. We're not saying it would be comfortable enough for two grown-ups to sleep in, but an adult sleeping with a small child or baby will find that extra room handy. So if you are planning to camp next summer with a wee bairn, this could be the sleeping bag for you. However, all that extra room will cost you in the packing. The SilentNight Sleeping Pod comes with a compression storage bag, but the packed-up unit is a bit bigger than your average sleeping bag. It doesn't matter all that much for use in the house or family camping trips in the car, but if you're hiking to a camp site it is something to consider. Other than that, this is a snugly-buggly delight to sleep in, and roomy enough for even the pickiest of campers.